Here is a picture of us stading in front of the hotel after the concert, waiting for Marie to come to sing her "Happy Birthday!". It was almost midnight. You can see our "fan van", covered in a sheet on which it is written "Charm School Graduation Party". Wonderful moments! Per came and filmed us from within the car, and then posted the video on Facebook, commenting "Beautiful! Bucharest!!!" And then Marie came and we sang her a midnight serenade. It was wonderfull when, in the hotel, she sang "Tro" together with us! Thank you, Marie! It was a cold day in Antwerpen, Belgium on the 23th of October 2009, when the annual festival for classical music Night Of The Proms was having it’s premiere concert for the 25th time around. It has become a tradition for the people here to attend these shows, even buying tickets for next season’s concerts without knowing who’ll be performing. This year, however, was a different case, as people from all over Europe and even some from over the Atlantic, were gathering in front of the Sportpaleis hall, hours before the official opening. 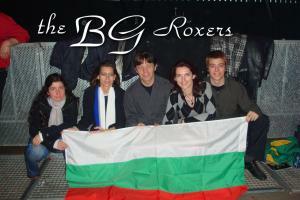 One could see a bulgarian flag, a brazil one, as well as a home made one saing: "Marie, Welcome Back! ", to name a few. This strange mix of people were not standing in the cold to go to a classical concert, they were waiting for a rock concert! The event began at 20.30 with an symphonic piece garnished with some fire special effects (much to the regret of those standing in the front rows who felt the fire a little too close). 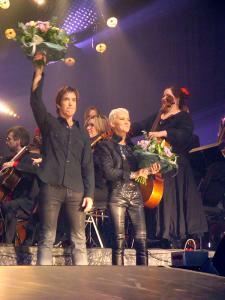 Roxette made their first appereance at the end of the first part of the show with the song Wish I Could Fly. The orchestra blended beautifuly the end of the classical piece with the familiar intro of the song. Then the magic began. Per and Marie appeared from out of the mist, being lifted up at the center of the stage. Marie was wearing a glittering blue suit, Per was in an elegant black suit with stripes. They went to their places and she started singing. She was a little bit uncertain at the beginning but quickly gained power with the support of the fans who were constantly shouting her name. After the end of the song they went away having left the audience eager for more. 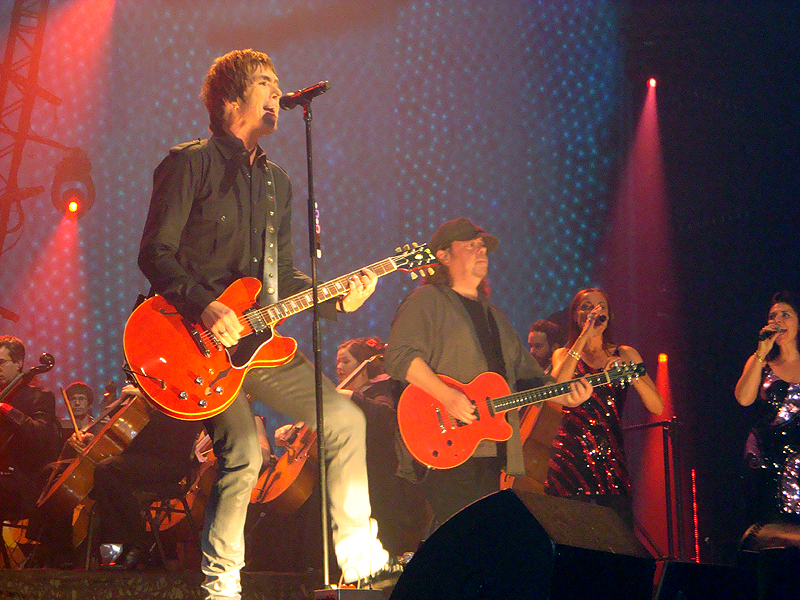 Then a 25 minutes pause took place and it was not until the end of the second part of the concert when the sound of Roxette filled the hall again. They began with The Look. This time around the whole band was at the front of the stage (except for Pelle, who was playing the drums with the orchestra in the back). They had changed their clothes and were storming the crowd of this symphonical event with a rock sound. And what an amazing sound it was! Marie was feeling much better on the stage, smiling all the time, playing air guitar and waving to the fans on the front rows. It seemed like she was happy to see them as much as they were happy to see her and one thing was clear – both Per & Marie were having a lot of fun being Roxette again! When the song ended they greeted the crowd and Per said the next song reminds them of Hollywood. 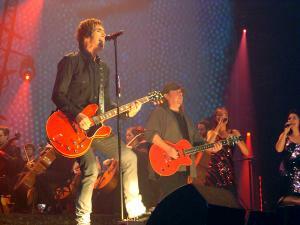 What followed was an accoustic version of It Must Have Been Love with just the two of them and Per’s guitar. It was an extraordinary experience as all the audiance – fans and non-fans – sang the lyrics along with Marie. After the first chorus she said: "One more time" and the song began again, this time with all the orchestra playing with them. Next was Joyride – both the crowd and the band have already gained full speed and were at their peak. 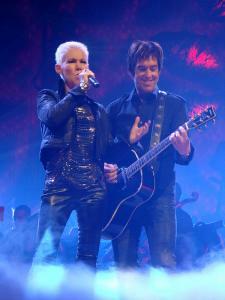 This was no longer a symphonical event – it has become a full-fledged Roxette concert! But the night’s favourite was Listen To Your Heart. Marie gave out one truly phenomenal performance of this classic and it was the perfect ending of the perfect night that marked the comeback of Roxette. The concert itself concluded with all the artists coming to the stage to receive big bouquets. They then took turns at throwing the flowers in the audience. Per and Marie did the same but this wasn’t yet the end of the night for some of the die-hard fans there. After the show a group of fans waited to see their idols and Per was kind enough to come out. He stayed a while to chat with the Roxette fans, sign things, took pictures etc. He said that the band was not at it’s best tonight because Marie was ill and have been taking penicillin for her throat and Christoffer was having a stomach flue. Then he hooped back into the van with his wife, son and the other Roxette members (except for Marie, who had left earlier). All in all it was a night to remember! 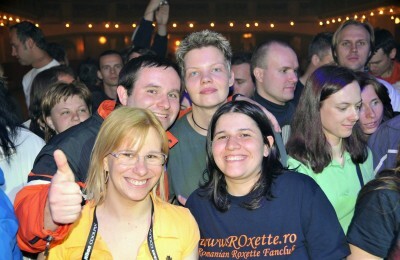 The second show took place on Saturday and there were even more fan groups to support Roxette. 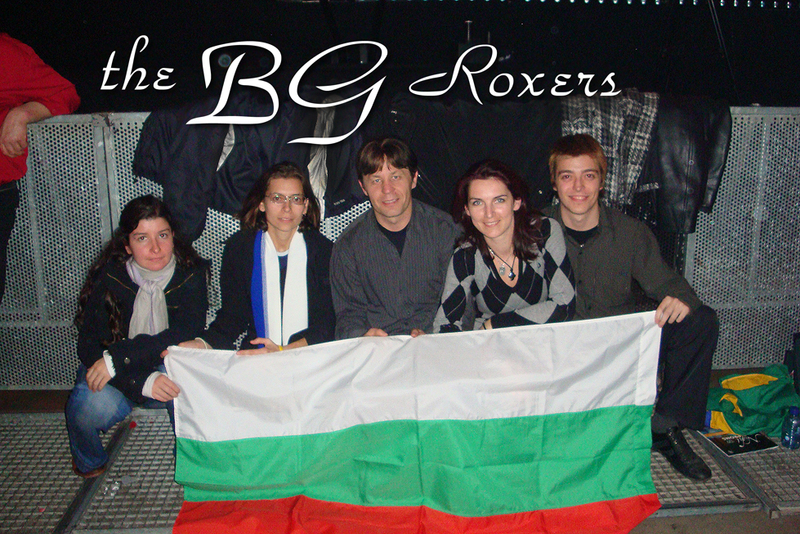 Some of them were from Germany, Spain, Bulgaria, Romania, Brazil, Hungary, Hurvatska and Belgium of course. All this resulted in even more furious shouting at the special moments of the concert when Roxette were performing. The concert itself was brilliant again and this time Pelle and Clarence too joined Per outside the hall, meeting and taking pictures with the fans. 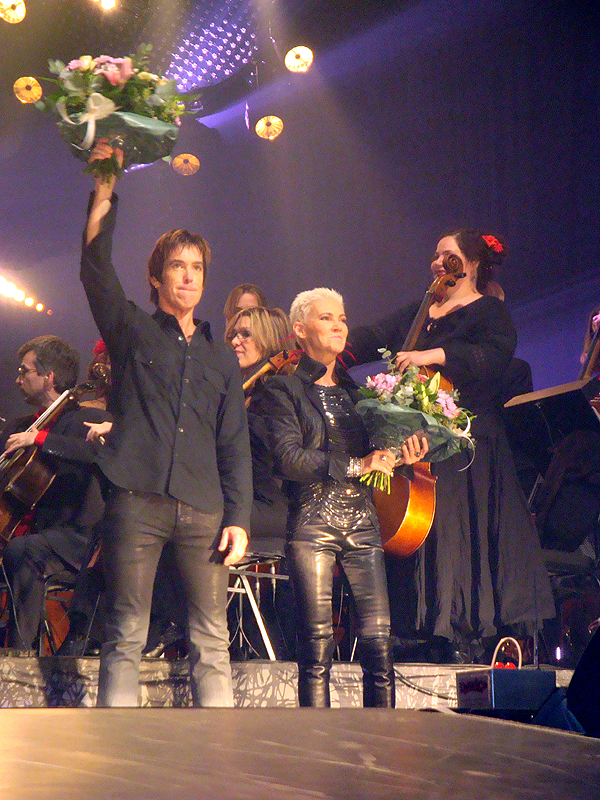 These two nights showed that Roxette is not just still alive, but they are kicking with energy and enthusiasm to continue to be our beloved idols. And that’s all that matters.